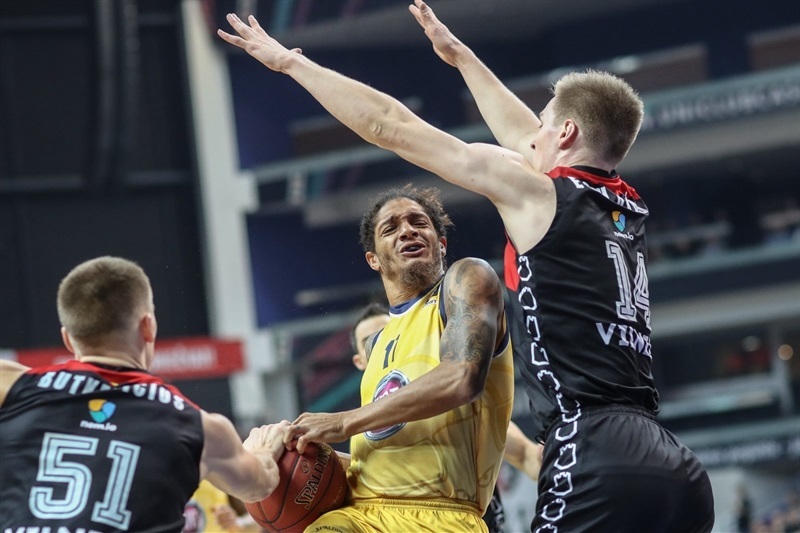 Lietuvos Rytas Vilnius avoided elimination in Top 16 Group F by downing Fiat Turin 101-68 in the Lithuanian capital on Wednesday. 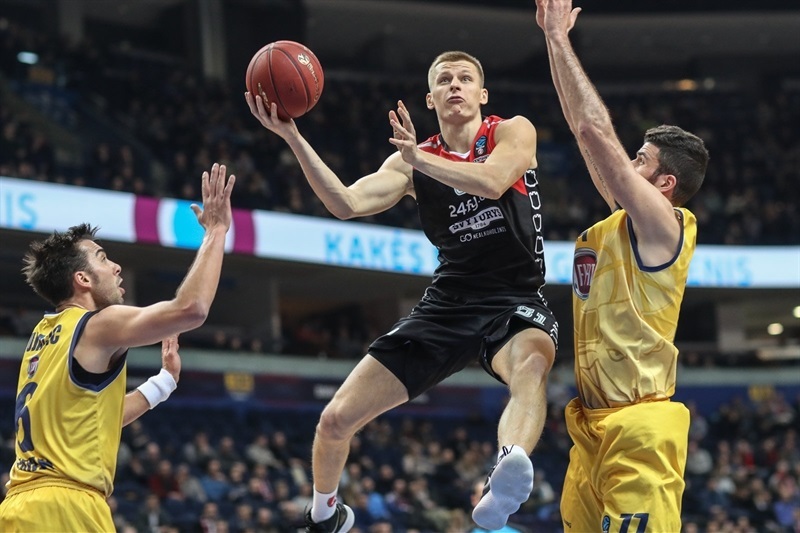 Rytas improved to 1-3 in the standings while Fiat dropped to 2-2. Martynas Echodas paced the winners with 22 points. 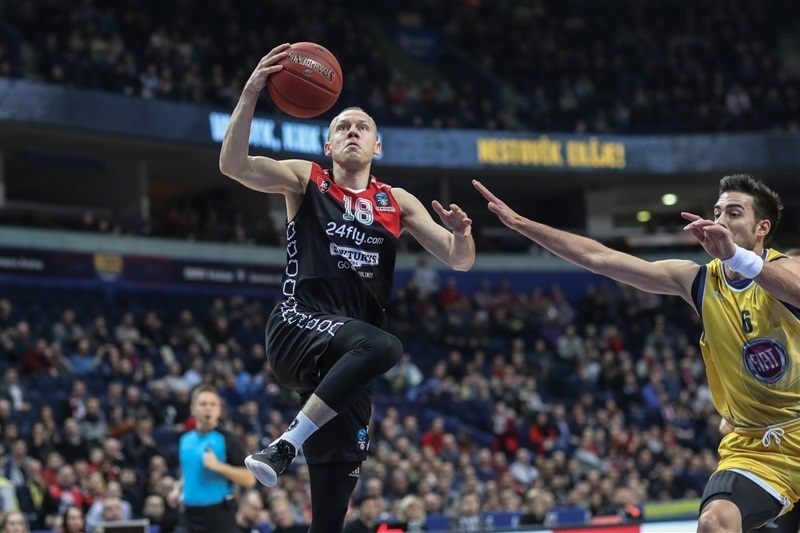 Ben Madgen added 15, Jimmy Baron 14, Travis Peterson 12 and Rokas Giedraitis 10 for Rytas. Sasha Vujacic led Fiat with 14 points. Deron Washington added 12 while Lamar Patterson and Antonio Iannuzzi each had 10 for the guests. Echodas and Peterson powered Rytas early, combining for 16 first-quarter points to give their team a double-digit lead, 30-14, after 10 minutes. Echodas found plenty of help from Giedraitis and Madgen to boost the hosts' margin to 54-30 at halftime. 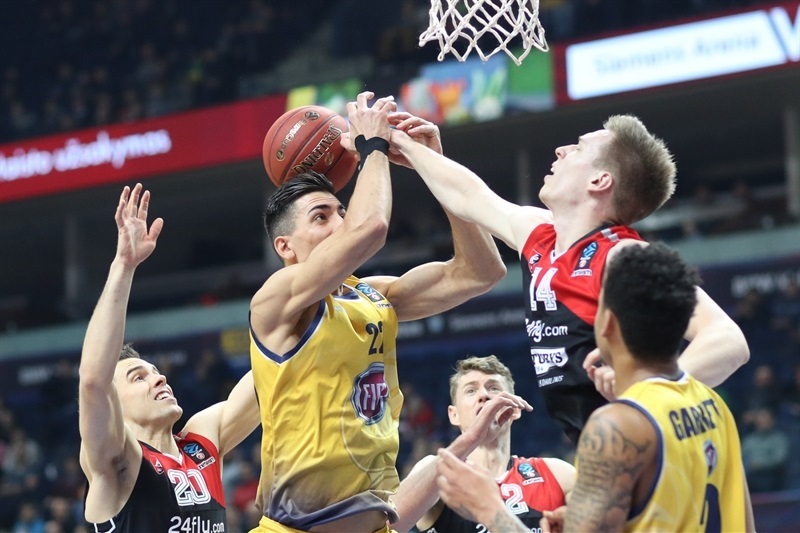 Rytas outrebounded Fiat by 29-10 before the break. 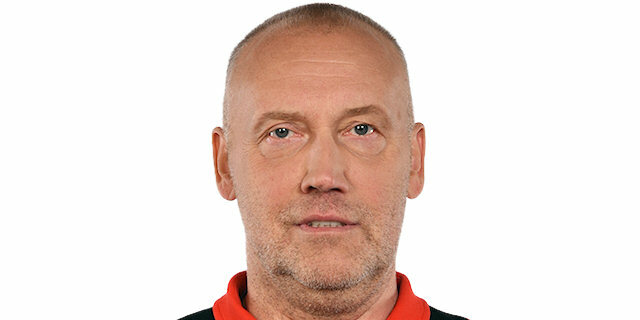 Nothing changed after that, as Rytas kept a 77-53 lead at the end of the third quarter and did not find much trouble to put its first Top 16 victory on ice. The hosts pulled down 58 rebounds, an all-time EuroCup record for a non-overtime game and the third-best mark in EuroCup history. Diante Garrett got Fiat going with a layup that Chris Kramer bettered with a triple for a 3-2 Rytas edge. Vujacic hit a jumper but Peterson stepped up with 4 points in a 7-0 run that gave his team a 10-4 lead. 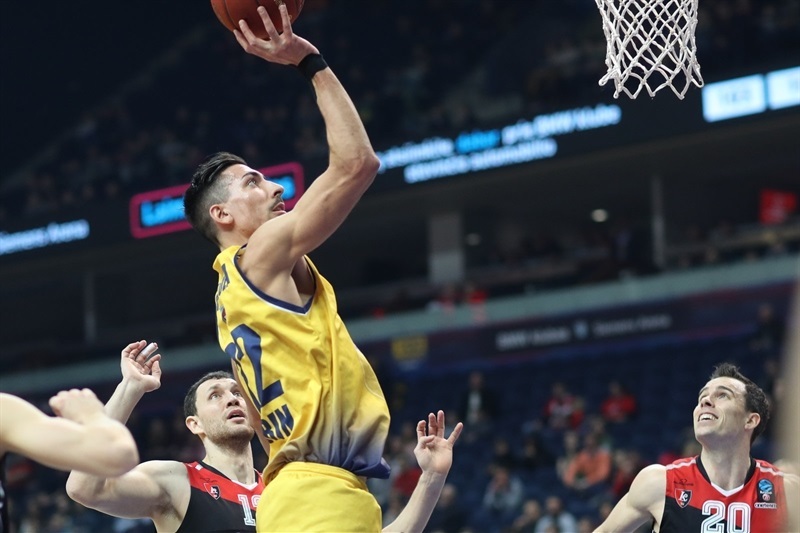 Echodas followed a three-point play with a two-handed slam and soon added an inside basket for a 17-8 Rytas margin. Peterson and Echodas kept pacing the hosts and a three-pointer by Baron broke the game open, 26-10. Andre Jones followed a layup with free throws but Kramer and Loukas Mavrokefalidis kept Rytas fully in charge, 30-14, after 10 minutes. Mavrokefalidis followed a layup with a turnaround jumper while Washington and Patterson kept Fiat within 35-19. Echodas returned to the floor and immediately delivered with back-to-back layups. Giedraitis added a put-back that made it a 21-point game, 42-21. 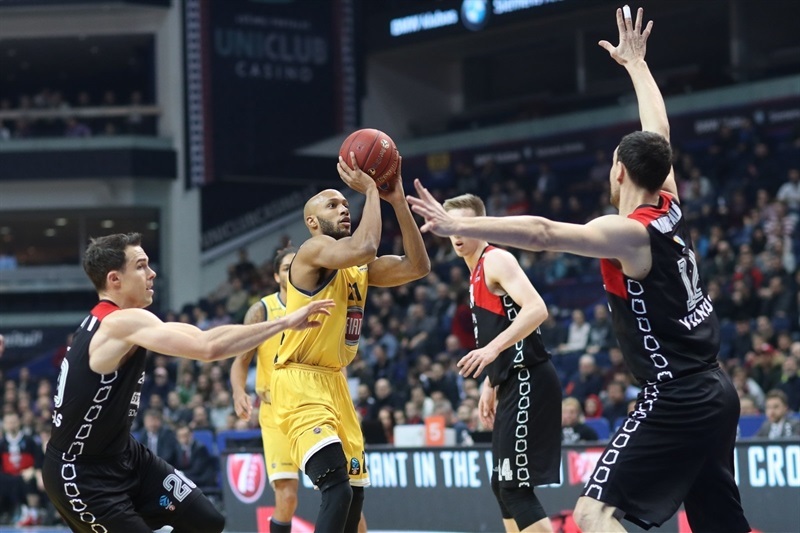 Washington tried to change things for Turin but Madgen struck three times from downtown and Giedraitis added another from deep for a 54-30 Rytas lead at halfime. Peterson hit a couple of three-pointers after the break and Echodas dunked again for a 63-38 score. 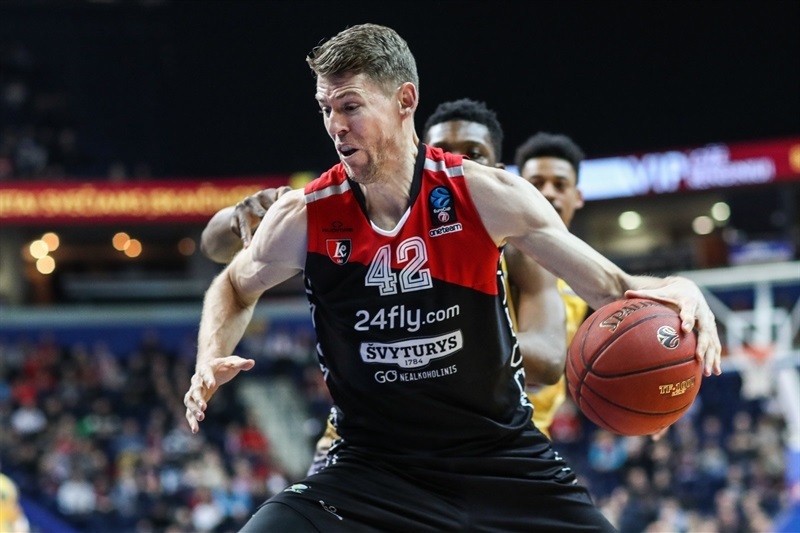 Washington, Patterson and Iannuzzi scored around the basket but Baron and Egidijus Mockevicius kept Rytas way ahead, 70-46. 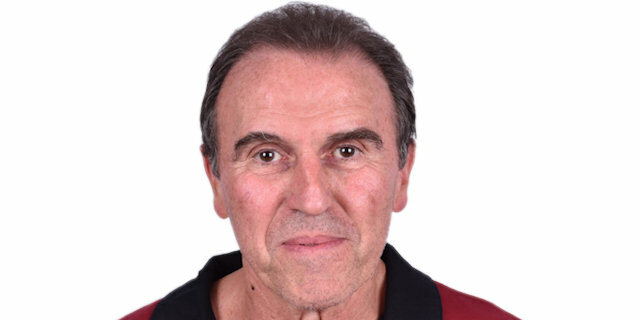 Vujacic and Iannuzzi moved Fiat within 77-53 after 30 minutes. The outcome was clear but both teams kept fighting for points difference, which could be critical down the road. Echodas made free throws before back-to-back jumpers by Baron soon gave Rytas a 85-57 margin with 7 minutes left. 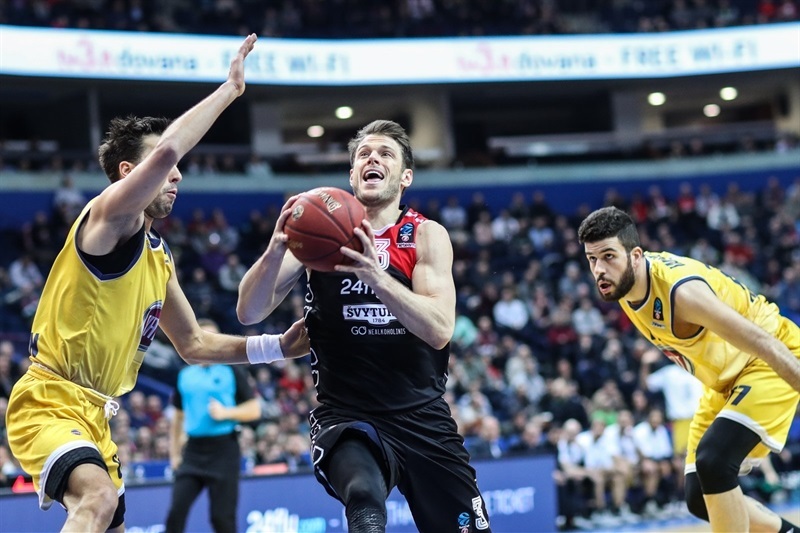 Turin kept trying but Rytas had cruised to a well-deserved home win. 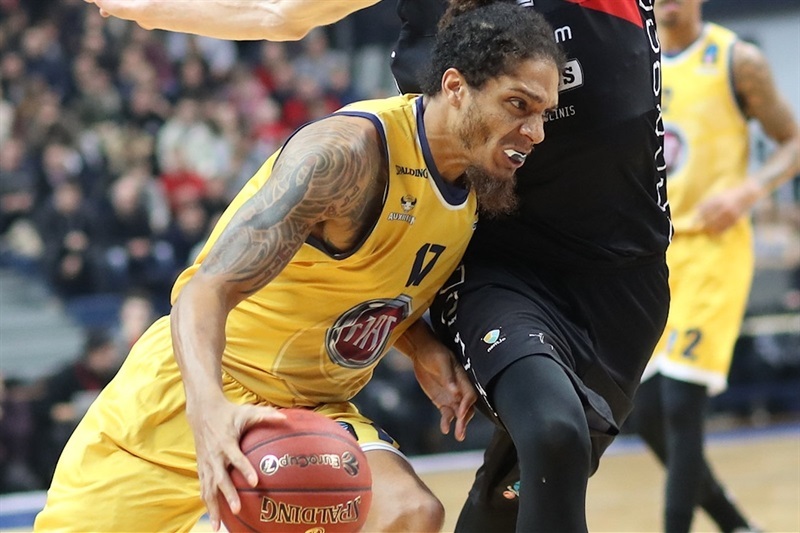 Both teams play on the road in Round 5: Rytas faces Zenit St. Petersburg and Turin visits FC Bayern Munich. "We fought for 40 minutes. For sure, we needed this victory. We had a couple losses and had to bounce back. I am happy about how we played today, with big enthusiasm. It was a great game. Echodas is now one of our best players and we are usually starting him." "For us it was a terrible game. Lietuvos Rytas played a very good game. We let them play too easy on offense. They've got 23 offensive rebounds and that is too much. Many times they got a second shot, a third shot and eventually they scored."